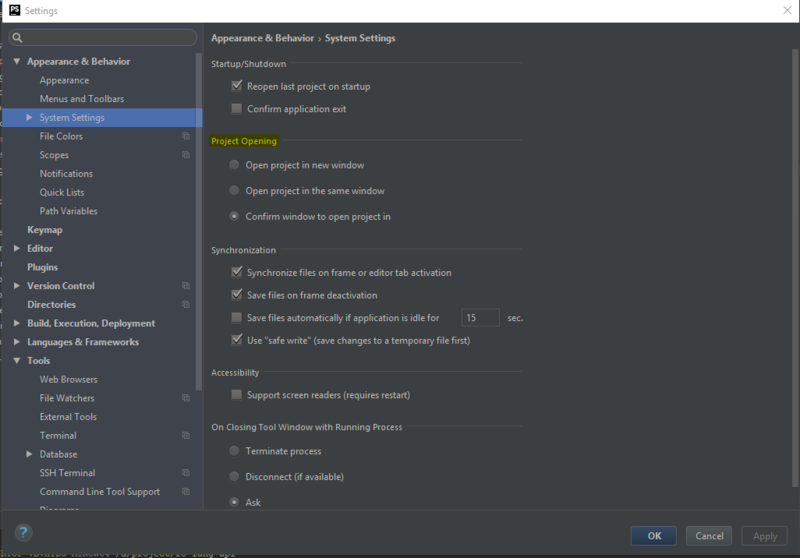 Are you trying to open multiple projects at the same time in PHPStorm, but not in the same window? For the past week, I have been struggling with that myself. 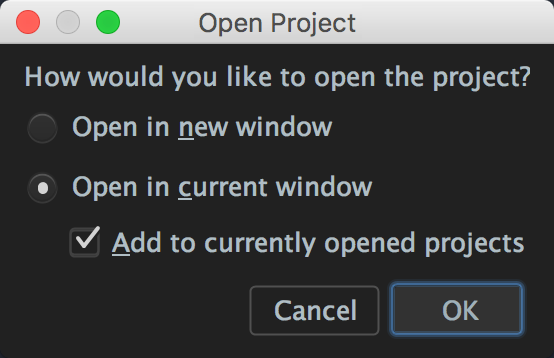 Once you tick the option in that little box, to remember your choice, you cannot open projects in multiple windows at the same time. Luckily, today I had some spare time to look deeper into PHPStorm’s settings and I found the solution. It only takes 10 seconds to do it. Open project in new window. Open project in the same window. Next, click the Apply button in the bottom right of the Settings window and you’re done. Try opening another project now and check if it works. Let me know in the comments if you need any further help with this.